Ted Nugent has carved a permanent place in rock & roll history as the ultimate guitar - shredding showman, selling more than 40 million albums, performing over 6,500 high - octane live shows, and continuing to set attendance records at venues around the globe. 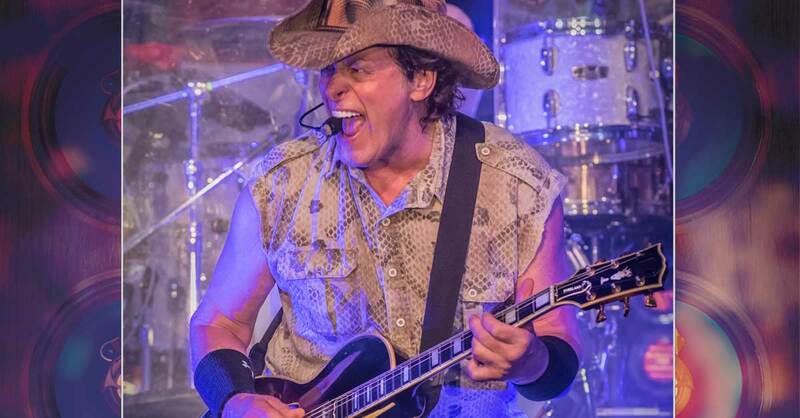 Nugent was named Detroit’s Greatest Guitar Player of All Time by readers of MLive, and his no - holds - barred career spans five decades of multi-platinum hits. From the ground breaking Amboy Dukes' hit "Journey to the Center of the Mind," to classics like "Stranglehold" (ranked in the Top 100 Classic Rock Songs and #1 Guitar Lick), "Cat Scratch Fever," (32nd Best Hard Rock Song of All Time) Damn Yankees chartbuster "High Enough," and cult classic "Fred Bear,” the most requested song for radio airplay in Michigan & Wisconsin), Ted and his inimitable sound have been featured on VH1’s Behind the Music, A & E’s Biography and more. For millions of passionate music lovers everywhere, Ted delivers the Ultimate Life Soundtrack. A Ted Nugent show is not just a performance it’s a firebreathing celebration!